Jesus invited the lost to come and see who he was. You can help the lost explore Jesus by investing and inviting. to each other (community), and to his ministry (cause). Connect to Jesus through salvation and baptism. Connect to the church by attending our membership class called Starting Pointe. Connect to a community of disciples by joining a LifeGroup. Connect to a cause by serving in a ministry of the church. Jesus trained his disciples to imitate his character and grow in his competencies. Spiritual growth happens as you are discipled, trained and equipped by another. Jesus deployed and released his disciples to make other disciples. Multiplication happens when we make another disciple of Jesus. A true disciple is devoted to Jesus. A true disciple is developing the character and competencies of Jesus. 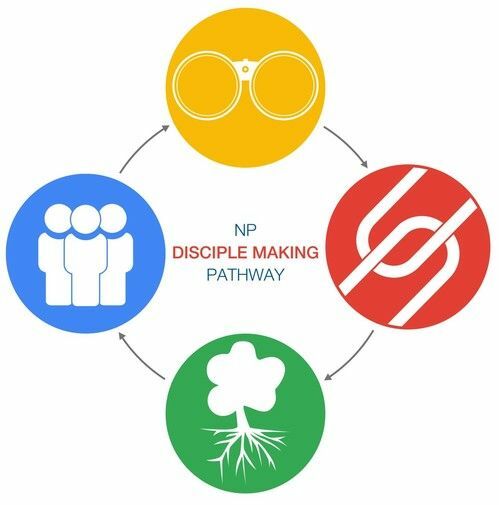 A true disciple is deployed to make disciples who make disciples.